Marketing decisions at the ranch are about risk and reward and there has to be a balance. I have often commented that just because you have more enough hay to get your cows through the winter, that potential extra hay supply shouldn't be the sole criteria for backgrounding your calves. By the same token, sharply lower calf prices also should not be the sole criteria for holding your calves over the winter while hoping for higher prices down the road (early 2017). But, combining available low cost feed with sharply lower calf prices (opportunity cost) is the beginning to evaluating the risk-reward of retained ownership. If you already have the forage, this can be an appealing option. As long as your marginal cost of an added pound does not exceed the marginal revenue from that additional pound of beef, the economics are on your side. The key – you must know your costs of forage (if produced) and your cost of gain for backgrounding and this involves keeping cost records and then using those records for decision-making. This is honestly evaluating the breakeven for those cattle at the expected finished weight next spring and then weighing that breakeven against the likely market. That analysis puts the weight on your shoulders, but at the end of the day, you will be much happier with any decision you make. 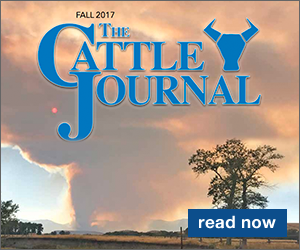 In October, calf prices were down 42 percent from the prior year as well as another 7 percent from the September average. Prices during first-half November strengthened and I expect they will average about 5 percent above October but still down 35-38 percent from a year ago. These prices coupled with lower cost hay present the opportunity to background these calves and sell more pounds but again, this is a beginning point based solely on current prices. The final decision must consider your individual circumstances, not the least of which is your situation with the bank. 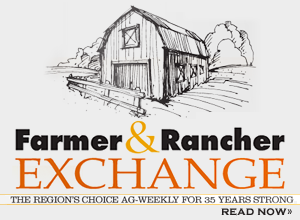 The current retained ownership, whether in a backgrounding situation or in the feedlot, continues to look positive based on the calf and feeder cattle market and expected breakeven based on that cattle cost and feed cost – both are down sharply. Consequently, the risk is reduced, but the reward still hinges on the prices next year and there is plenty of pessimism concerning the 2017 steer prices.